400 Series electric actuators use the reliable Planetary Torque Control System (PTCS), providing a highly efficient actuator. 400 Series DC electrical actuators use the reliable Planetary Torque Control System (PTCS), providing a highly efficient, low consumption actuator optimised for solar energy supply. 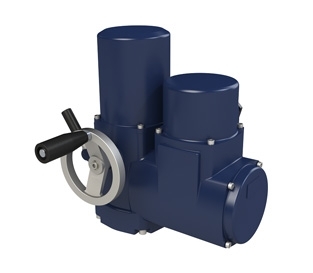 The robust 400 Series actuator enclosure ensures reliable operation in varied industries such as Water, Waste Water, Irrigation and Power Generation. The low power consumption characteristic enables automation of valves in remote locations where conventional electrical supply is not possible. 400 Series electrical actuators use the reliable Planetary Torque Control System (PTCS), providing a highly efficient actuator. 400-ATEX actuators are a robust, mechanical and ATEX certified solution for your application. The mechanical design of 400-ATEX actuators ensures long service life. With no electronic components, 400-ATEX actuators can operate in adverse conditions across many industries to minimise process downtime and maximise productivity.